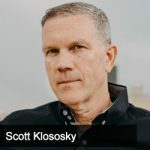 Jason Hartman talks with Scott Klososky, founder & principal of TriCorps Technologies, about the digital transformation. The two explain what that means, what kind of protections you need to put in place in today’s technological world. Technology can both help you prosper and protect you, and you need to be sure that you understand both sides of the coin. [8:35] Should we be concerned about AI? [18:35] Why can online portals not be held liable for things said on their platforms as opposed to traditional outlets like newspapers?